Mr. Robert Hunziker, prominent American journalist has sent me a letter of support for the Big Rally 2018 for Fukushima Without Nuclear Plants. 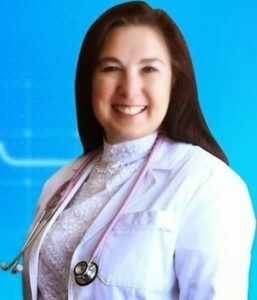 He considers it a violation of basic human rights not to report cases of thyroid cancer of children. He finally expresses his “adamant” opposition against the Tokyo Olympic Games 2020. In lieu of personally attending the C, I hereby extend my wholehearted support. I agree with several issues as outlined by the Executive Committee of March 11 Fukushima Anti-Nuke Action. Firstly, I violently disagree with the Trump policy of pre-emptive use of nuclear weapons. It is inhumane and senseless as well as a violation of provisions of UN International Standards of Human Rights. Secondly, I oppose the Abe administration proposal to eliminate the 9th clause of the constitution, which stipulates renunciation of war. Additionally, I applaud the courage of people who attend the Big Rally 2018 for Fukushima Without Nuclear Plants. It should also be noted that the Abe administration forcing evacuees to return to high radioactive contamination areas is a violation of International Codes of Human Rights & Ethics. Additionally, raising exposure to 20milli-Sieverts per year is equivalent to an unconscionable act of terrorism against the people of Japan, especially to children. It is also a violation of basic human rights when cases of thyroid cancer in children are not reported. Finally, I am adamantly opposed to the Olympic Games in Tokyo 2020. Hi Ralph, thank you for this important post. 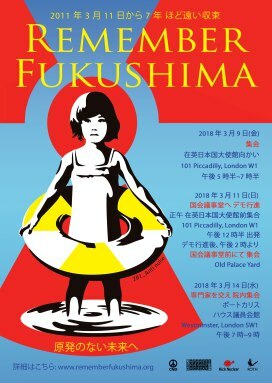 I just wanted to clarify that the poster at the top and the website link is for the Fukushima +7 years events taking place in London, i.e. not in Japan!